Leek seeds. 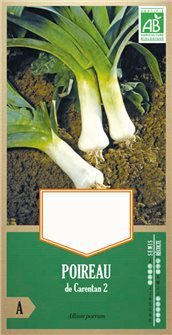 Plant your own leeks. Saint Victor winter leek seeds, a hardy variety of leek that is very tasty. 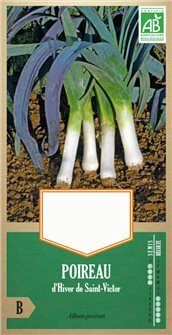 Packet weighing 1.75 g.
Carentan leek seeds, early and huge variety, ideal for a big end-of-summer yield, early autumn. Package of 1.6g.